UK Stampin' Up! Demonstrator | make beautiful cards | Crafty Hippy: Hello Sunshine! After the beautiful sunshine of the last few days we have a wet and windy day in Needham Market. I thought we needed a bright and sunny project today to cheer us all up! I have an exam on Thursday so this week I have got my head in my books. I still have the remains of a bug that knocked both me and Mr Hippy out for a while - I've had it over 3 weeks now! And I am still recovering from discovering I don't absorb Vitamin B12 - I've had two weeks of injections and now have to have regular injections to keep me topped up. After a stressful couple of years my poor old body is now taking a battering! 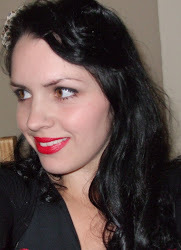 But good things come to those who wait and hopefully in a few months I'll be feeling more like the old me. I hope when things are a bit more settled I'll start to get out a bit more, and then I'll be able to share some news other than just craft projects. Good weather will certainly help with that! Today's project is really simple one-step stamping. I have used the "Kinda Eclectic" stamp set to create the sunshine, and the "Hello" Sale-A-Bration stamp set which is FREE when you spend £45 (offer ends 31st March). All the supplies you need for this project are listed (as always) on the ticker below. And as always I have listed the wood-mount versions (that don't need an extra purchase of perspex blocks) however you can also get them in clear-mount. 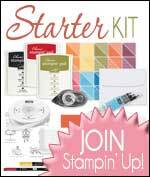 Just click on one of the products to browse (or buy) the Stampin' Up! Official Online Shop. Or click the Shop Now button above. Enjoy your day whatever the weather is doing!